The Hatters have announced that both Dan Potts and Alan Sheehan have extended their contracts with the club, while new deals have been offered to Alan McCormack and Glen Rea. Potts and Sheehan, who were both free agents, have agreed an extra 12 months, after Luton exercised their option on Potts, with Sheehan warranting his deal after the club won promotion. Both had starring roles for Luton this season as they finished second in League One, Potts scoring seven goals in 45 games, while Sheehan played 46 times, a number of them as captain. 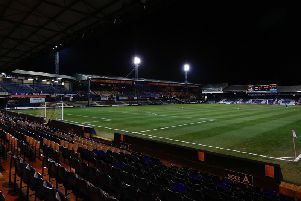 Luton have also confirmed they have extended the deals of Aaron Jarvis, Harry Isted and Akin Famewo for a further year, with Danny Hylton, James Collins, Elliot Lee, Jack Stacey, James Justin and Frankie Musonda having an extra year added to their deals as a result of going up. That means Hylton, Lee, Stacey, Musonda are now contracted to the club until 2020, with Collins and Justin staying until 2021.